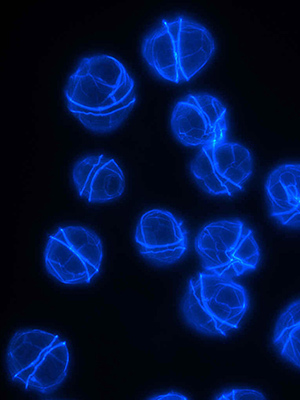 Alexandrium cells stained with calcofluor, which renders the thecal plate structure visible under epifluorescence microscopy. 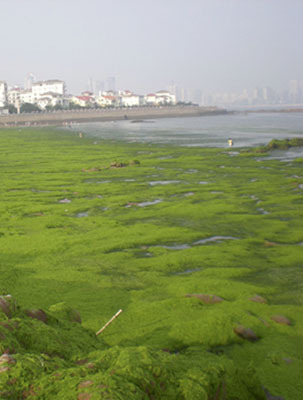 Green tide in Qingdao, China. 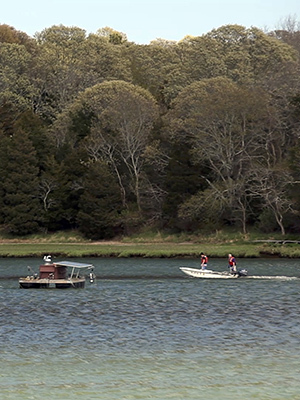 Field research and sampling during blooms of Alexandrium in the Nauset Estuary on Cape Cod, MA, USA. In this system, an imaging flow cytobot is deployed on a stationary raft to track bloom progression (archived images available here). 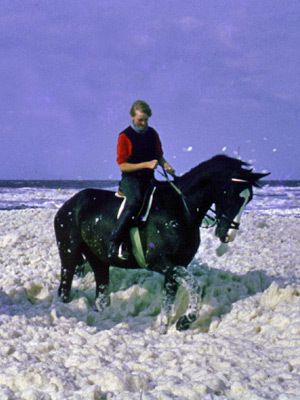 An example of foam produced during a Phaeocystis bloom in the North Sea. This material is unsightly and bothersome to coastal residents, but it also can coat fishermen?s nets, causing fish avoidance. 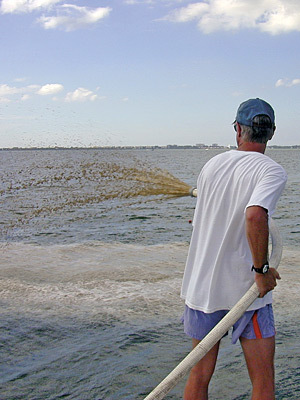 The primary objective of this site is to serve as a comprehensive resource for information about harmful algal blooms. Marine and fresh waters teem with life, much of it microscopic, and most of it harmless; in fact, it is this microscopic life on which all aquatic life ultimately depends for food. 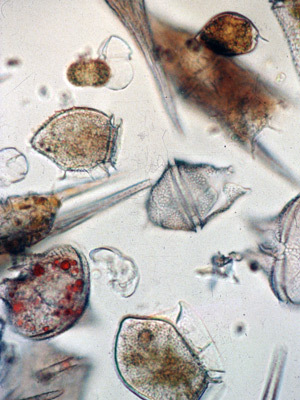 While most of these species of phytoplankton and cyanobacteria are harmless, there are a few dozen that create potent toxins given the right conditions. 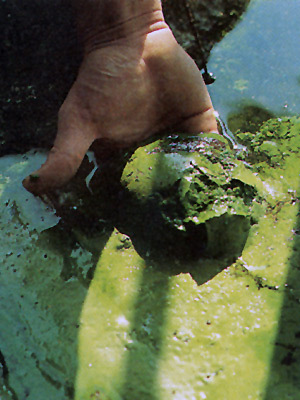 Harmful algal blooms may cause harm through the production of toxins or by their accumulated biomass, which can affect co-occurring organisms and alter food-web dynamics. 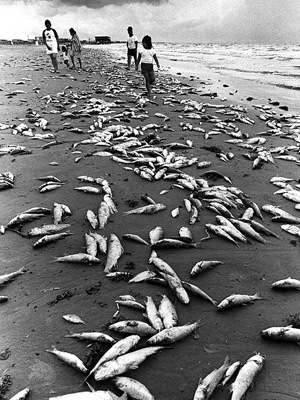 Impacts include human illness and mortality following consumption of or indirect exposure to HAB toxins, substantial economic losses to coastal communities and commercial fisheries, and HAB-associated fish, bird and mammal mortalities. 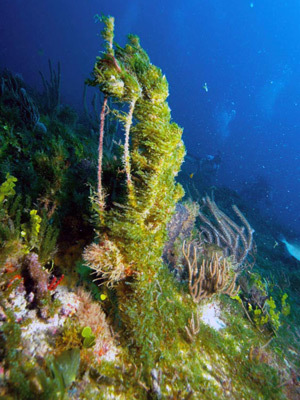 To the human eye, blooms can appear greenish, brown, and even reddish- orange depending upon the algal species, the aquatic ecosystem, and the concentration of the organisms. 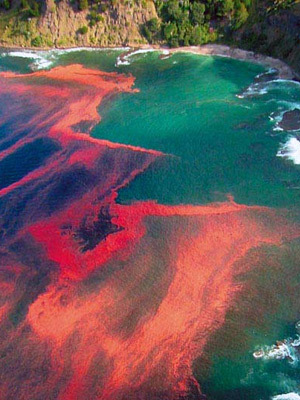 These outbreaks are commonly called red tides, but scientists prefer the term "harmful algal blooms" (or HABs). 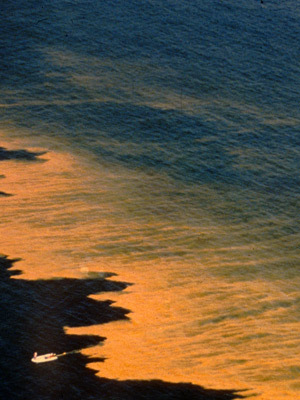 The term red tide erroneously includes many blooms that discolor the water but cause no harm, and also excludes blooms of highly toxic cells that cause problems at low (and essentially invisible) cell concentrations. 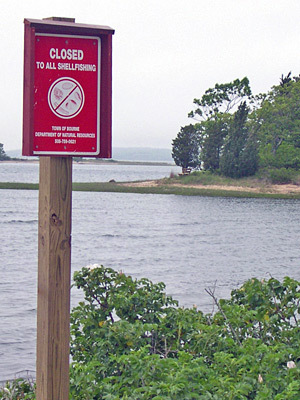 Therefore, harmful algal bloom is a more appropriate descriptor.